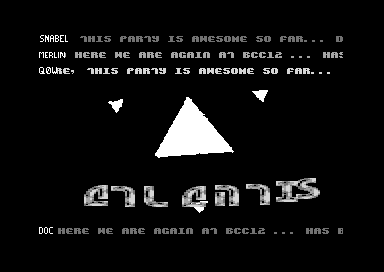 great intro, nice music, actually quite amazing given that it's (allegedly) party coded compofiller. Love the simplicity in the vector. page created in 0.013785 seconds with 15 queries.